This is a 550mm size hexacopter frame that is made from plastic and fibreglass. 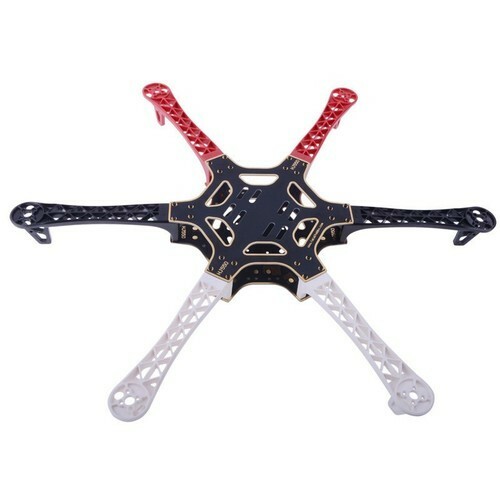 This frame is ideal for new users who would like to build their first hexacopter as this is a very affordable and strong frame that can handle crashes. Similarly this frame can be used by more advanced users who would like a simple lightweight platform to try more aggressive stunt flying without the worry of breaking an expensive hexacopter frame. Large Center plate allows mounting of gimbals and camera for FPV and aerial photography.